Our Best Dungeon tournament continues with two new titles. 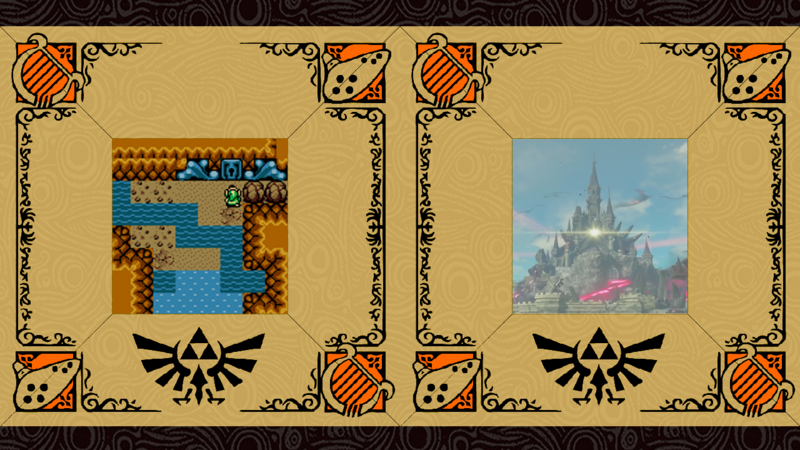 As Sword & Shield Maze and Stone Tower Temple duke it our in yesterday’s poll, our second Wild Card winner takes on the winning dungeon of Breath of the Wild. Mermaid’s Cave earned a healthy victory against Tri Force Heroes‘ Sky Temple in the Wild Card Round, earning a spot here in Round 1. Let’s see how this dungeon will fare against our newest challenger. Hyrule Castle caused a bit of a stir in Round 0, with some fans arguing that this in-game location wasn’t even a dungeon to begin with. But after the votes were counted and the poll closed, Hyrule Castle came out on top as Breath of the Wild‘s best dungeon. The climactic gravity of Link’s ascent into Ganon’s inner sanctum is undeniable, as fantastic music swells and every form of opposition fights to stop our hero’s progress. As a dungeon, the castle lacks the traditional puzzles and progression that makes other Zelda dungeons great, but perhaps its freshness has helped it to better resonate with fans. Who will win Twilight Princess first?